Limited parking with additional turnout and riverside parking. 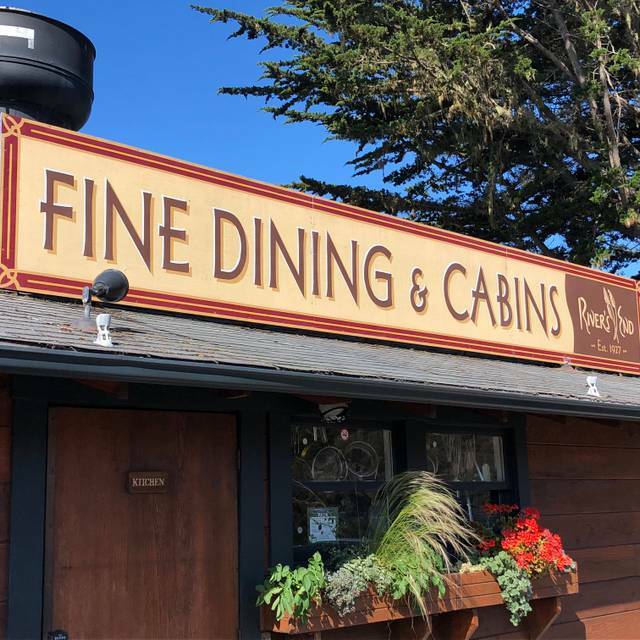 The epicenter of Sonoma Coast dining...the River's End is located in the quaint village of Jenner by the Sea about 20 minutes north of Bodega Bay. 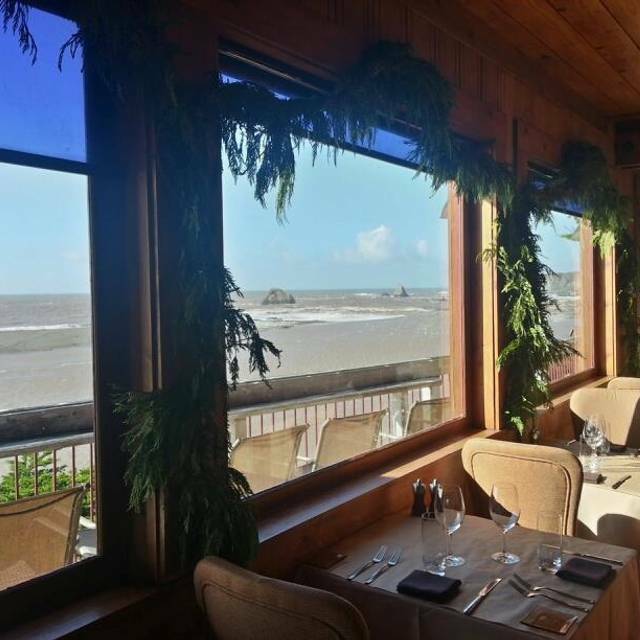 The restaurant is set on a bluff overlooking the Russian River spill into the Pacific Ocean. During lunch you can watch the Osprey dive in the river for fish or the harbor seals frolic at riverside. Dinner time is all about the sunset ... the show is worth the visit. Fortunately, the restaurant chefs and service staff aim to outdo the natural surroundings. The kitchen prepares California cuisine with a focus on local ingredients. Chef Martin Recoder prepares menus that are changing with the seasons and delight the heart. The service staff is led by Maitre d'/Owner Bert Rangel, who has owned and managed the restaurant for over 10 years. The Chef in the Redwood Bar is talented Patrick Keane. Trained at the French Culinary Institute, Patrick utilizes the freshest ingredients and classic techniques to create truly “Artisanal Cocktails”. The Spring Tasting Menu is intended for those who wish to celebrate the region's rich bounty and people. Cheers! Hello, my brother in law lives in Jenner so I thought it’d be nice to bring my parents here who were visiting from Chicago. We arrived and were promised a seat next to a window but were actually seated across from the windows. This was not a big deal but we didn’t receive menus or a glass of water for the first 10 minutes. It wasn’t very busy so I’m unsure why. Our waiter came over and seemed annoyed and completely disengaged, Billy maybe? He didn’t give us any attention during our meal. At one point we got up to go on the deck to look at the sunrise. Two elderly women eating along the window came outside and yelled for us to move out of the way! Then when we requested our bill the server gave us the wrong bill that was double the price of ours. Good thing I looked closely! In the end, I will not be returning or suggesting this to visitors. It’s a shame! As returning diners...we are always impressed with the location and view. The service remains special and makes for a fine evening. We appreciate the changes in the menu and offerings as there were more items from which to choose our meal. We will return and continue to recommend. Views were outstanding; service great; food very good and different from the norm!. Delicious food, great service, amazing view especially at sunset. We had excellent meals in our recent visit to San Francisco and Napa/Sonoma, but our dinner at River's End was unparalleled. For starters, the beautiful setting cannot be beat, and although we couldn't secure a reservation for our party of 8 on Open Table, we did get two reservations for 5, scheduled 15-minutes apart. 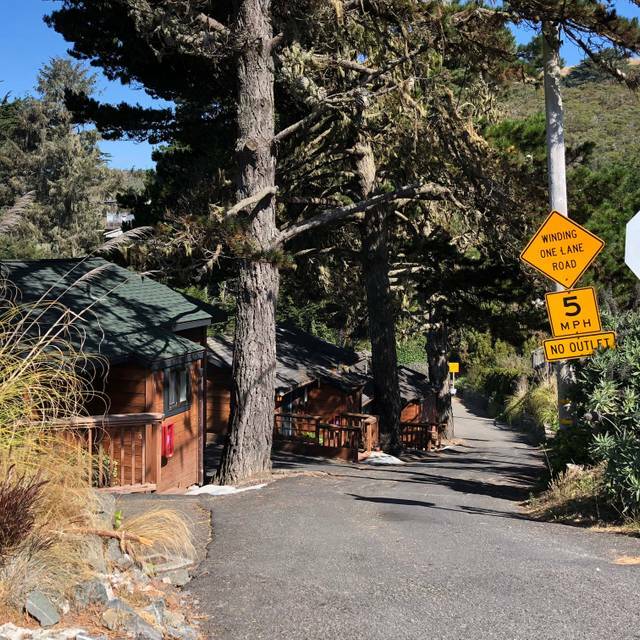 In part because we beat the rush, no doubt, the restaurant cheerfully seated us at an 8-top in the solarium-style portion of the building with a perfect view of the Pacific below. We thoroughly tested the menu and everyone reported excellent food and drink results. I highly recommend River's End, and if you can get there for sunset, you'll be richly rewarded. You can't beat the view from this restaurant, and the food and service were great. Nonetheless, we were a little disappointed that the menu has changed substantially since our many previous visits. There was no clam chowder! There were no vegan options and few vegetarian options (not sure if those were offered more before, but now that we have a vegan son, we're aware of things like this). Serving elk, even if imported: Not cool. Overall the offerings seemed to have gotten more gourmet and a lot less affordable. 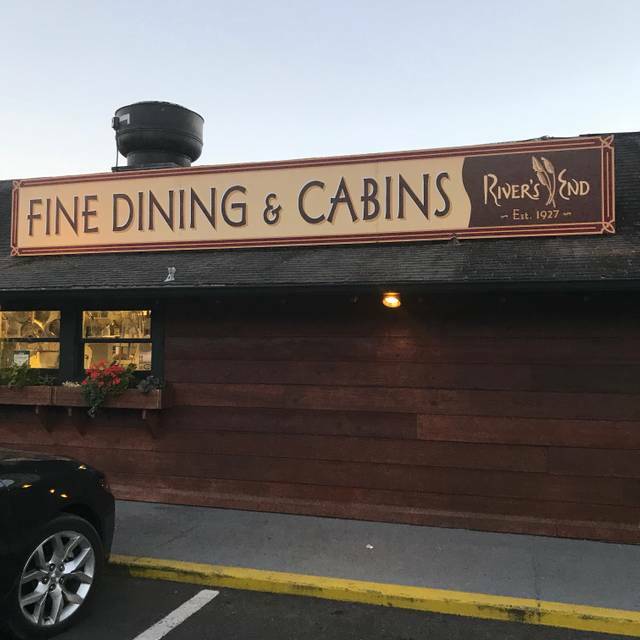 Sorry to say that next time we're in the area, we'll probably head to Duncans Mills or Monte Rio... unless we check the River's End menu and they've returned to a menu more suited to our tastes and budget. Great food, great service. Wonderful wine selection and staff recommendations. Terrific view. Prices a tad high. This was a highlight of our trip to Sonoma County. The food is outstanding and service extraordinary. Thank you so much! 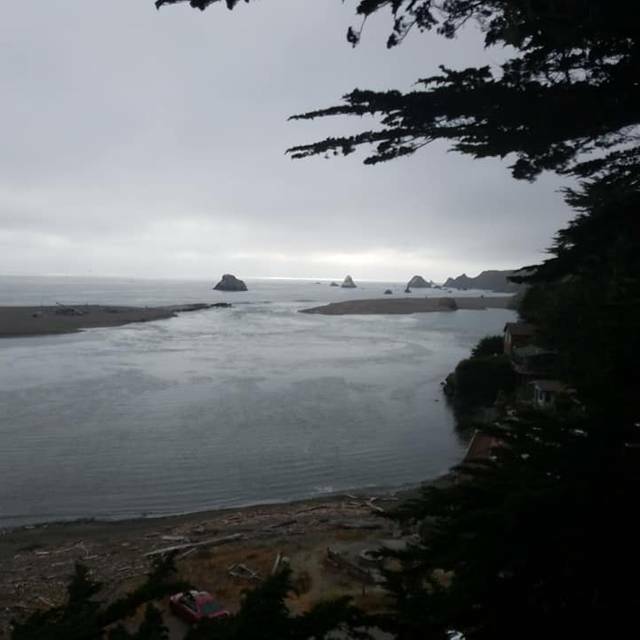 The view is amazing.We saw a mother sea lion give birth on the beach across the Russian River -not something you see every day! The oysters were very fresh and prepared well.The Technicolor Beet Salad was beautiful and tasty too.The elk and mushroom pasta were both excellent.The ice cream with cardamon was very interesting.I think that cardamon is an under-utilized spice. Great view and menu. Fries were cold (but great). Had a wonderful experience at River’s End! Our waitress was fantastic, she gave us extra time deciding what to order so that we could enjoy the sunset. The kitchen is very accommodating for those with food allergies. The food was extraordinary. I'm asking myself why they don't have a Michelin star. The dining room & bar staff we friendly, efficient, & attentive to our every need. The food was absolutely over the top. It was truly a dining experience. The restaurant provided a beautiful window table to celebrate our anniversary. Service was impeccable, food was absolutely delicious, we had their preset menu, a fabulous dining experience. Another fantastic meal ! For this visit we chose the spring sampler! We celebrated our anniversary at River's End. It was a wonderful dining experience. The Spring Tasting sample was amazing. We were able to enjoy a wonderful dinner and an amazing sunset. We had a great dinner after spending a day on the north coast. The food was excellent and the service was also very good. The only bad thing is that there are a of tables very close together. We really enjoyed out dinner at River's End. Our waitress was very nice and made great suggestions for our dinner. The food was wonderful and we would definetly like to return. what a delight. We have been here 40 yrs ago and the meal today was amazing. The wait staff and Chef Martin were attentive and informative. The tasting menu with crab ravioli and lamb chops were the best. The ricotta cheesecake was delish. We plan to return soon. This is my favorite restaurant on the planet. The service is gracious, yet convivial and friendly, the food is always a masterpiece of imagination and finesse, the view is breathtaking, and almost as good as the food. Thank you to everyone who contributes to the exquisite excellence of Rivers' End. We absolutely loved our time spent at Rivers End! Came here to celebrate my boyfriends birthday and we were thrilled at our amazing waitress (Sarah) and delicious and fresh food AND THE BEAUTIFUL VIEW. We even came back the next day to try more on the menu. Would highly recommend this place to anyone looking for a great meal and a special hospitality experience. Thank you front of the house and kitchen team! We will be returning! The four course tasting menu was excellent. First class service from the minute we walked in the door, until the time we left. We will be back without question. Amazing food, service and view! We went for lunch and I am so glad that I made a reservation.....we had the perfect table. 1t never disappoints. The food, the staff, the drinks are all marvelous! Fantastic drinks with sunset on outside deck followed by a first class meal. We decided to splurge on the 5-course crab meal since we were celebrating. It was a good choice. Each course was creative, delicious and beautifully presented. We didn't do the corresponding wine pairing, but kind of wish we had. The view and staff were as good as it gets. I also appreciated the intimate, relaxed and unpretentious feel of the place. I'm definitely returning the next time I'm in the area. As usual the food was incredible, the staff was knowledgeable and warm, and I love sunsets! The food did not seem to be up to their usual standards. The mushroom soup was rather bland-flavor did not seem to be as robust. Perhaps it is getting to the end of the mushroom season? The organic filet mignon had a sauce ( & a lot of it)which overwhelmed the dish & made the filet taste like beef stew. Best to order the sauce on the side. They still have their crab dinner, at $85 per person, plus $59 for wine (+ requirement that everyone in your party must order the crab dinner-so no sharing)-we will pass. The food is tremendous. The view is even better. Been here half a dozen times in the last year, had most everything on the menu, all has been fabulous. Rivers End is truly a special place. 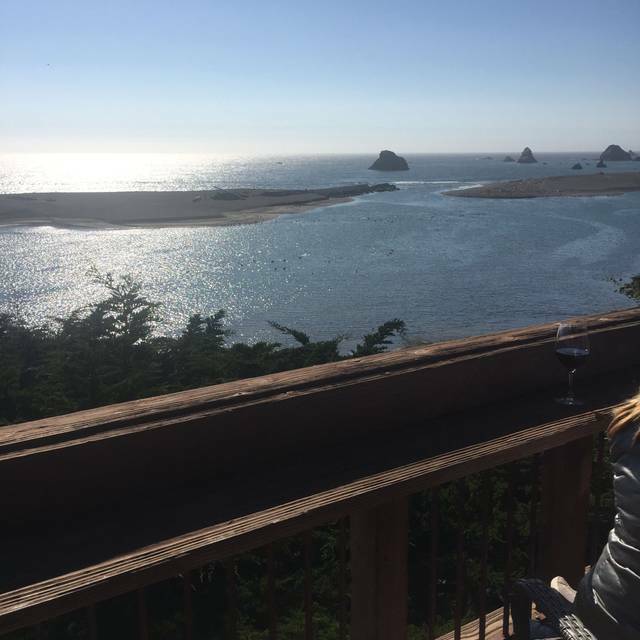 Magical setting, beautiful views, outstanding service, superb Sonoma County based wine list and meals that are an absolute delight. Loved the 5-course Dungeness crab!! We have not been here is years. It is a beautiful spot at the end of the world with great views and atmosphere. Wait staff are always great. But, for the cost, I expect a bit more than what I got. Food is good, but good enough for the price they charge. All is good, just not the value you are paying for. If I was on a date and we spend the day in the wine country and wanted to take a person to a place to end the night with, this is good to end a wonderful day. You are just paying extra for that experience. 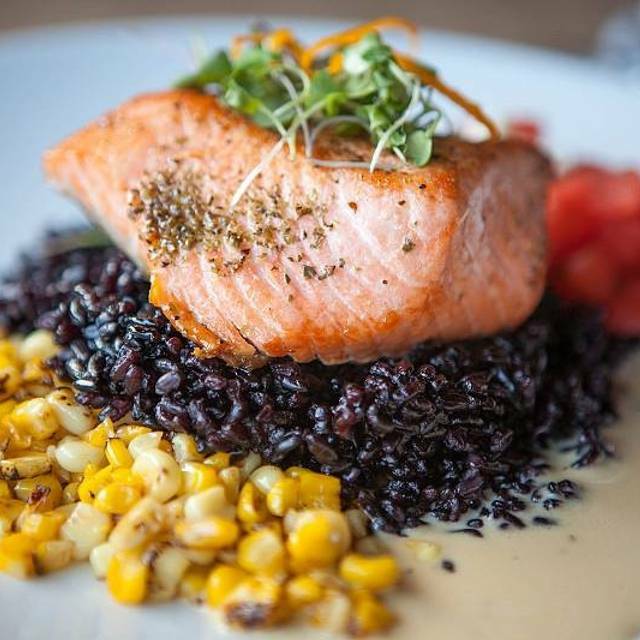 Better food and value at other places gin the wine country. Also, the wine should be cheaper for local wine or have corkage lower for local wine. Nice to promote the area. How do you describe perfection? The food is always amazing as is the view. There is only one restaurant like this! This was our second visit, both on trips for our anniversary. We go for lunch, so we can combine the trip with a visit to the beaches. The food was lovely; the seasonal mushroom pasta was the favorite. The wine was also notable. But the real star, for this meal and our previous, was the staff. They are simply lovely, and the restaurant is inviting and comfortable. The views, of course, are breathtaking. We'll be back next year! We have been coming here for 15 years and it never disappoints! Really special menu, service is exceptional and you can’t find a better view!!! I have wanted to try Rivers End ever since reading a review about it several years ago. 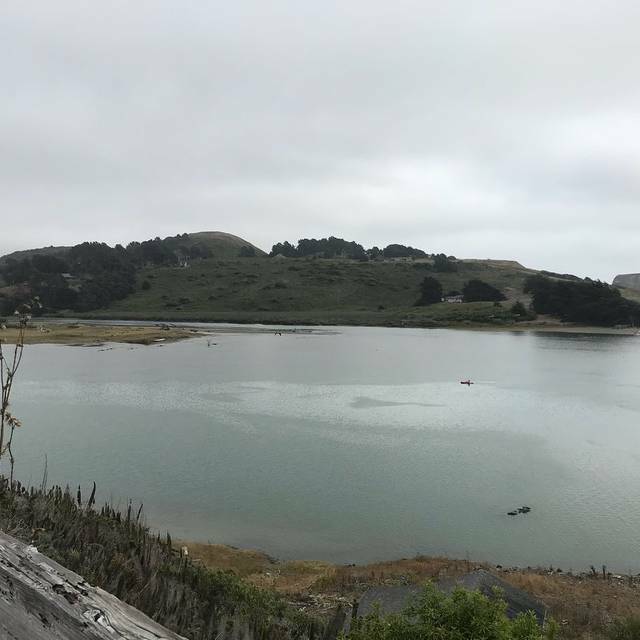 On numerous visits to Bodega Bay I considered making a reservation but they were booked or other plans were made. Finally, on a recent trip north from SF, everything worked out. The ambiance and location are very unique, the menu is somewhat eclectic, but the overall experience for me was very good but not great like I had imagined. My wife had the applewood smoked filet and I had the elk racklette because I’ve never had the opportunity to eat elk. The racklette was well prepared and the quality of the meat was excellent. The many flavors of the wine poached pear, Gorgonzola and the cacao nibs was very nice but in someway seemed like it was trying too hard to achieve something. For me, it was too much. The wait staff was very good, attentive and personable, but maybe a little too scripted. We will be back but maybe try lunch next time. All in all, I’m happy we had the opportunity and it was worth the trip. The view from the restaurant was fabulous!Any seat in the restaurant would be sufficient. I was disappointed With the beet salad , it had very little flavor and had been stacked in layers with goat cheese in between. It came to our table within a few minutes , now knowing it was premade and sitting in the frig. My sole was over cooked . It was my boyfriends birthday of which I included that in the Open Table reservation note but no one said Happy Birthday To him nor was any dessert offered to him for his birthday . It left us disappointed !